You get everything done when you decide. The word “procrastination” doesn’t exist. You stay focused on tasks without getting distracted. Temptations and addictions to food, TV, media, alcohol, sugar, shopping, and other drugs disappear. It’s fair to say that humans would evolve and develop in ways beyond our imagination. 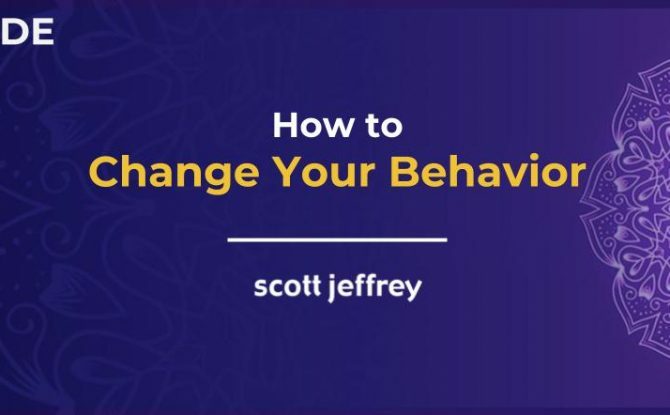 But why does it seem so difficult to change behaviors, create good habits, and stop bad ones? I know of one executive behavioral coach who Fortune 500 CEOs pay over $100k to change their behavior. Can you imagine? They only focus on only ONE behavior—and their work together takes over a year! This definitive guide reveals the findings on the science of impulse control and outlines specific strategies you can use to change your behaviors for the better. Let’s start with a disclaimer: This post reviews various meditation tools and products that include affiliate links. If you choose to purchase these products through these links, I receive a nominal commission. With the exception of only one product (Muse), I have purchased and used all of the products reviewed in this guide. If you’d like to read an excellent primer on meditation, read this guide. 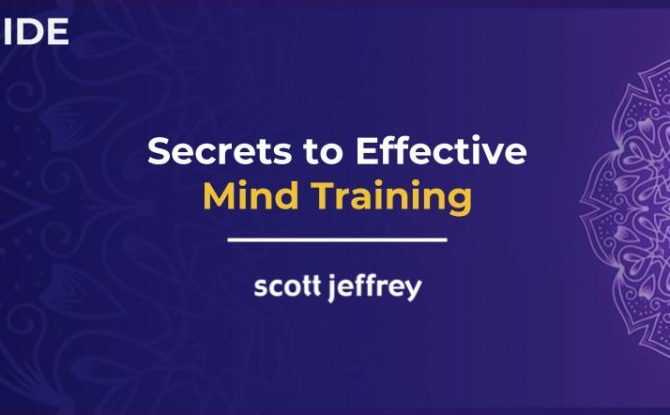 It covers dozens of insights I’ve learned from two decades of mind training. One of the things I explain in this meditation guide is that meditation is a natural process. Under ideal conditions, we would all remain in a present, mindful state. Clearly, however, we don’t live in these ideal conditions and so meditative practices can play a vital role in our ability to perform better and to relax and return to ourselves. In addition to exploring the various forms of meditation, there are many meditation tools on the market that offer additional support for your practice. If you can augment the benefits of meditation or accelerate the process, why not do so? If you don’t regulate your mental, emotional, and physical state throughout the day, it negatively affects your performance. The more calm, compassionate, and centered you are, the more productive you become. If you’re an entrepreneur, meditation practices can translate to the bottom line. By all markers, mind training can make you a better entrepreneur and human being. Perhaps you’ve tried meditation or you may even already have your own daily practice. Regardless, most people I’ve talked with about meditation seem to struggle with it for various reason (which I discuss here). Through the years, I’ve invested many thousands of dollars on various technologies and courses in my exploration in mind training. If you’re looking for an edge to help you build momentum or deepen your practice, these meditation tools can help you. 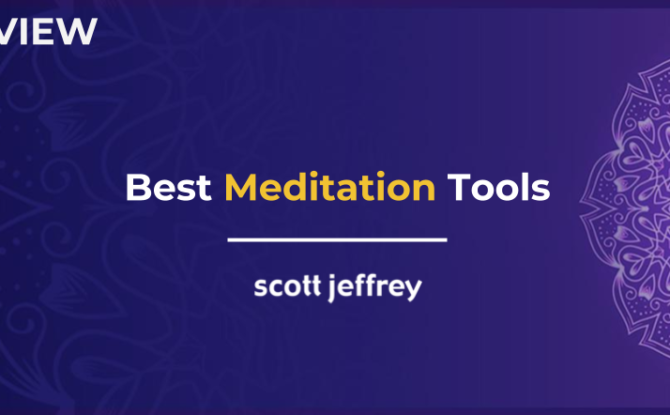 The following best meditation tools are used for different reasons. Select the ones that most speak to you. 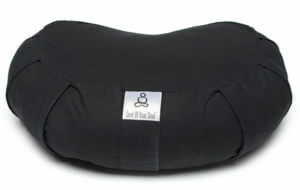 I review my favorite meditation cushion and other resources below too. Are you familiar with binaural beats and isochronic tones? You basically take two different pure-tone frequencies that are close but not the same to each other, one in each ear. Combining these two frequencies creates a third tone called a binaural beat. Binaural beats can be created to a wide range of frequencies, including those of brainwave patterns associated with various states of consciousness. The theory is that by listening to binaural beats and isochronic tones at specific brainwave patterns like alpha, theta, delta, gamma, and epsilon, you can induce various states of consciousness in a safe manner and support your meditation practice. I’ve experimented with many of these programs on the market, but iAwake’s sound technology is unique. They go beyond traditional brainwave entrainment technology to include what they call biofield entrainment, harmonic layering, dual pulse binaural signaling, and more. These sound technologies are embedded into the background. You mainly hear various soundscapes (mostly rain/stream sounds). 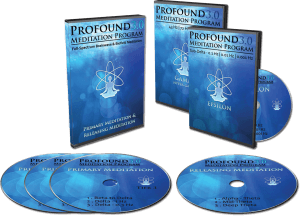 Profound Meditation 3.0 is a multi-disc set with a 3-tier system. You listen to the sounds in blocks of 20 minutes. With a high-quality headset, the sounds play in the background as you meditate. This is a comprehensive meditation program that can produce psychoactive experiences. The accompanying manual explains everything you need to know to get started. The Releasing tracks are great for unwinding at the end of the day. In my opinion, this is one of the best meditation tools you can use to start experiencing results. If you want to give this a test drive, you can access a free 20-minute track from this program here (along with other free tracks). Cost: $227 – Use code CEOSAGE25 to receive a 25% discount on the program. Heartmath Institute studies the science of the human heart. They pioneered a means of measuring what’s called personal coherence, the synchronization of physical, mental, and emotional systems. Personal coherence is calculated by a combination of heart rate variability, pulse transit time, and respiratory patterns. 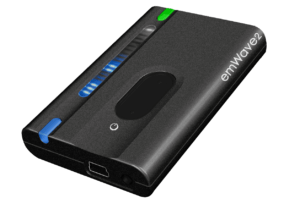 The EMWave2 measures these variables with a sensor clipped onto your ear or with the thumb sensor on the device. You can use it as a portable tool, but you’ll get the most benefit by hooking it up to your computer and using it in conjunction with the accompanying software. If you would prefer to use it with your mobile device, check out Inner Balance. Using HeartMath’s Quick Coherence Technique with the emWave2 attached sensor, the device measures your coherence as you attempt to steady your breath while holding a positive emotion directed at your heart. As your ability to maintain coherence improves, you can increase the level of difficulty. Ten minutes a day is sufficient to increase your coherence score. Using Kasina is like having a laser light show for your eyes only. It’s perhaps the closest you can get to a psychedelic experience without taking a mind-altering substance. While studies on brainwave entrainment are intriguing, research indicates that light may influence the brain more than sound waves. At least in relation to specific physical symptoms, research by Dave Siever suggests that light frequencies have a greater impact on the brain than soundwave technology. Regardless, there’s no reason to choose one over the other. The Kasina Mind Media System combines both modalities. You wear a headset and special glasses with embedded LED lights. The device comes with six categories that target different experiences: Accerlate, Meditate, Mind Art, Rejuvenate, Night Voyage, and Trance. After you select the program category and your desired track (descriptions of each are included in the manual), you simply lie back and enjoy the show. If you have a lot of resistance to meditation or have trouble quieting your mind, give Kasina a try. It’s one of the best meditation tools few people seem to know about. And if you’re a techie, the application is highly customizable so you can build your own tracks. 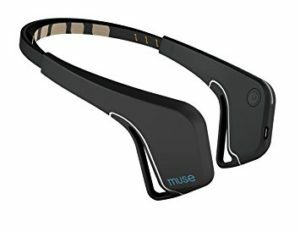 The Muse Headband is perhaps the most popular meditation tool among biohackers. The Muse Headband helps train your brain for mindfulness by giving you sound cues of the electrical activity (EEG) of your brain while you meditate. You wear the Muse around your forehead from ear to ear. Via Bluetooth, the Muse sends the signal to the Muse app on your smartphone. The app gives you real-time feedback (via various soundscapes) through your headphones. The more you quiet your mind, the calmer the soundscape becomes. With this form of biofeedback, you’ll be able to track your progress with mindfulness training. Practicing with the Muse headband, in a short time, you’ll notice greater awareness. That is, you’ll become more conscious of when your mind begins to wander, enabling you to bring yourself back to the present moment. I personally try to avoid Bluetooth and wireless technology whenever I can due to sensitivities with electromagnetic frequencies. But many people use Muse and if you’re not concerned about EMF, this product is worth testing out. Meditation is challenging for two reasons: external distractions and internal chatter. 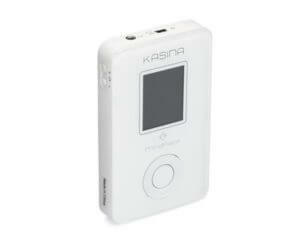 While Profound Meditation 3.0 and Kasina help reduces internal chatter, this product helps reduce external distractions. 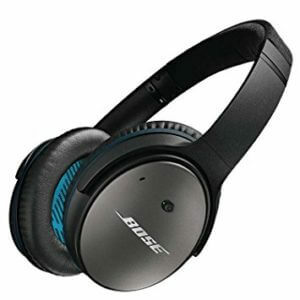 Wearing this Bose noise-canceling headset is like lowering the volume on the world around you. If you listen to any binaural beats, isochronic tones, or meditation music, this headset will definitely enhance your experience. I also use this product whenever I really need to focus on a project. They’re also great for air travel as they block out most of the plane engine’s rumble. While you can find less expensive noise-canceling headsets on the market, none of them are as effective as this one. They simply work. I keep one near my desk at all times. One of the reasons I mentioned that many people have trouble meditating is because of poor physical ailment. I recommend sitting at the edge of a hard chair when you’re first getting started. But if you prefer to sit on the ground (which has numerous other benefits), then using what’s traditionally called a zafu can help. To maintain proper structure alignment, you want only your coccyx region elevated. This crescent-moon-shaped, buckwheat filled cushion with an organic cotton cover is ideal. 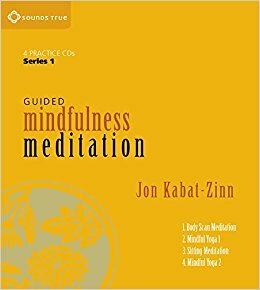 If you’re looking for guided meditation instruction, consider the Guided Mindfulness Meditation Series 1 by psychologist Jon Kabat-Zinn. This program contains four 40-minute guided mindfulness meditations Kabat-Zinn used in the Mindfulness-Based Stress Reduction program at the University of Massachusetts Medical School. There is a large body of research to support the efficacy of this program for reducing stress, improving health, and developing the brain. Are you having trouble getting a full night’s rest? Or are you struggling with a chronic illness or pain? If so, read on. 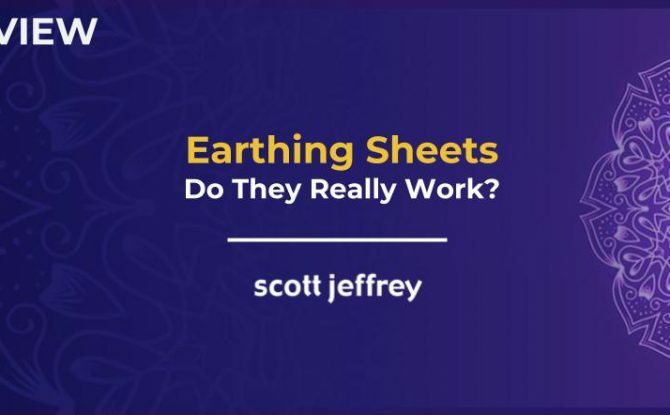 This earthing sheets review is going to offer a surprisingly simple solution you can try right away. Overview: This in-depth guide provides meditation guidance, meditation instructions, and loads of “underground” tips based on over two decades of research and experience in mind training. I was suffering from acute anxiety before and during exams in my sophomore year at the University of Michigan. As a consequence, I was getting sick often and freezing during exams, lowering my performance. My uncle shared with me a simple meditation practice he learned from a course. Using this method made a measurable difference in my health, performance, and well being. And so, from then on, I began exploring and experimenting with different meditative practices and breathing techniques. Perhaps you’ve never meditated before. Or, you’ve been meditating for years. Maybe you dabble in meditation, or you tried it out and decided it wasn’t for you. Regardless of your relationship to meditation (or lack thereof), I’m confident you’ll find tremendous value in today’s new guide. 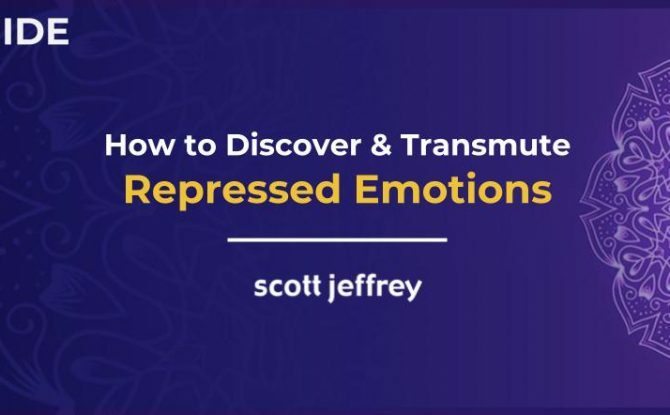 In this comprehensive and unusual meditation instruction guide, I’m going to offer what I’ve learned from over 25 years of mind training. Nootropics, if you’re unfamiliar with the term, is a fancy word for smart drugs or cognitive enhancers. 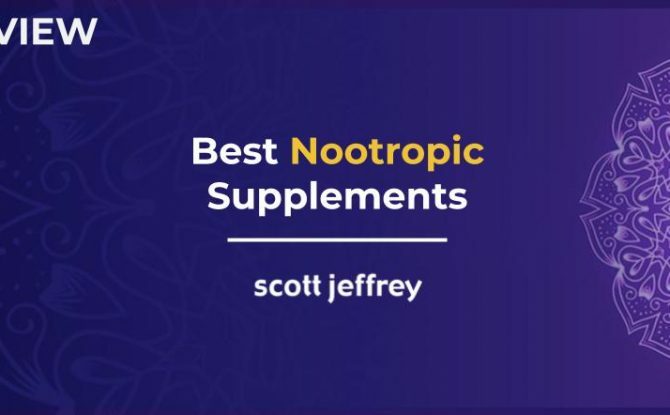 This guide highlights the four best nootropic supplements, based on my research. Smart drugs are prevalent in college environments where students try to increase their memory, attention, and motivation to study. But there’s a lot more to the story. 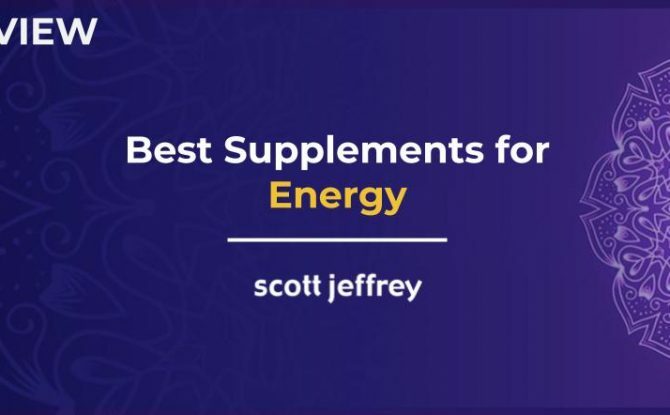 And if you’re interested in activating more of your brain’s potential (especially while you work), the best nootropic supplements are worth a closer look.